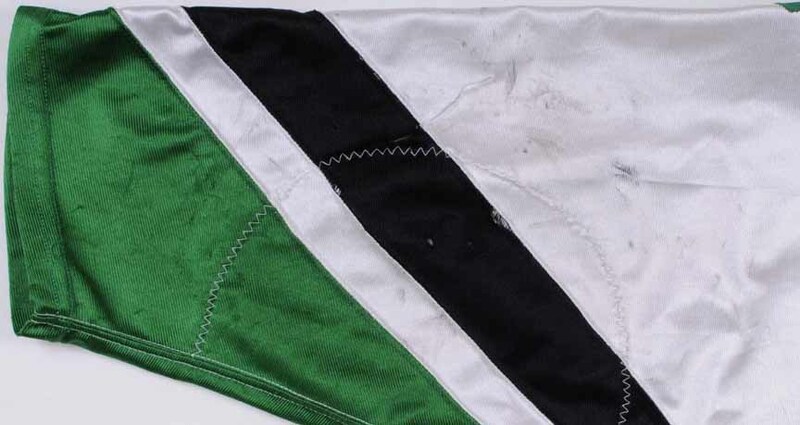 This white dazzle cloth gamer by Nike was worn by Jonathan Toews during the 2005-06 WCHA season, his rookie year. The Chicago Blackhawks selected Toews with the 3rd overall pick in the 2006 NHL Entry Draft. After playing his college hockey at the University of North Dakota, Toews began his NHL career with the Hawks in 2007-08. Now in his 8th season, the Captain of the Hawks has already hoisted Lord Stanley’s Cup on two occasions. Toews was the Conn Smythe Trophy winner as playoff MVP in Chicago’s first Cup run in 2010. In 2012-13, Toews won the Frank J. Selke Trophy as the NHL’s best defensive forward and was named 2nd Team NHL All Star. 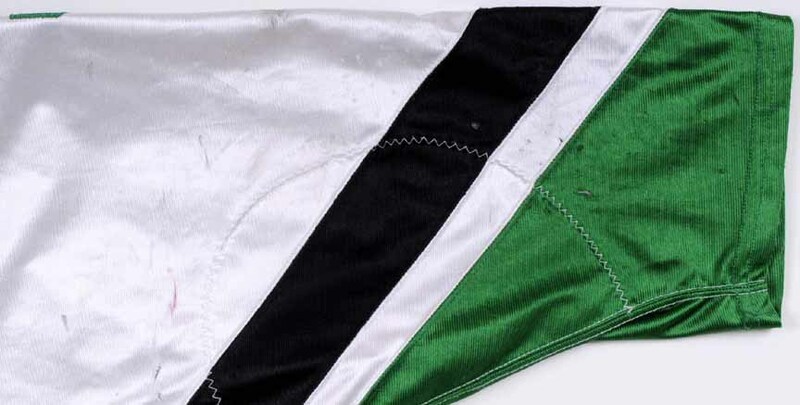 He has played in a couple of NHL All Star games and was also named the Best Forward in the 2010 Olympics en route to Team Canada’s Gold Medal. Toews earned himself yet another Gold Medal at the 2014 Olympics in Sochi as he helped Team Canada retain their best in world status. 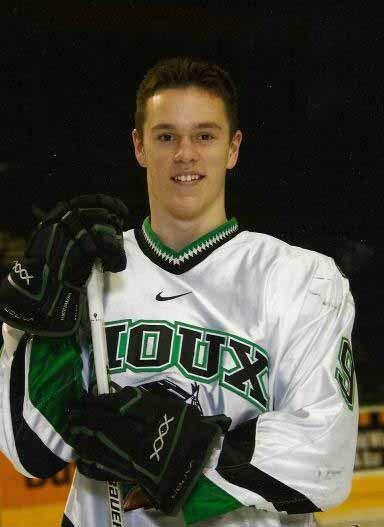 Toews spent 2 seasons at the University of North Dakota and powered his team to the Frozen Four both years. In 76 collegiate games, Toews lit the lamp 40 times and added 45 assists for a most impressive 85 points. 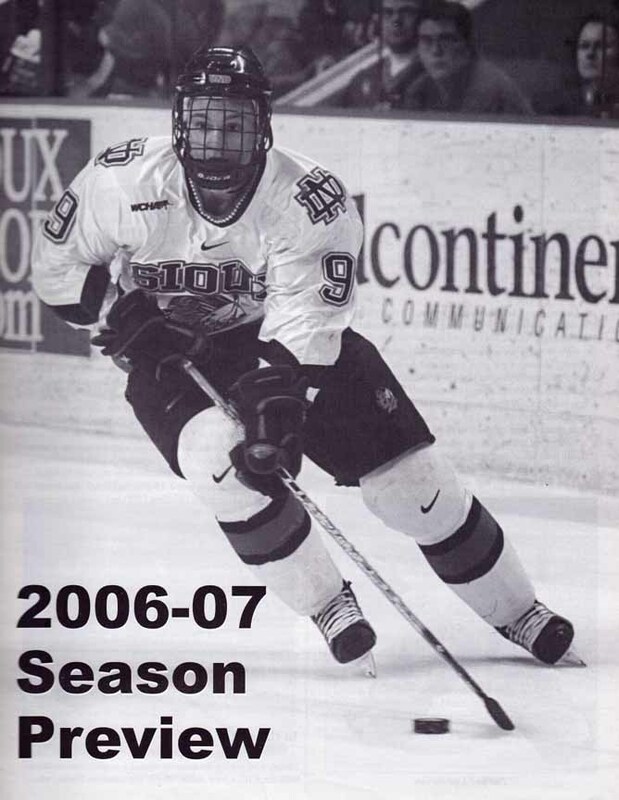 While wearing this sweater during his freshman year, Toews was twice named WCHA Rookie of the week and also earned the 2006 NCAA West Regional MVP. 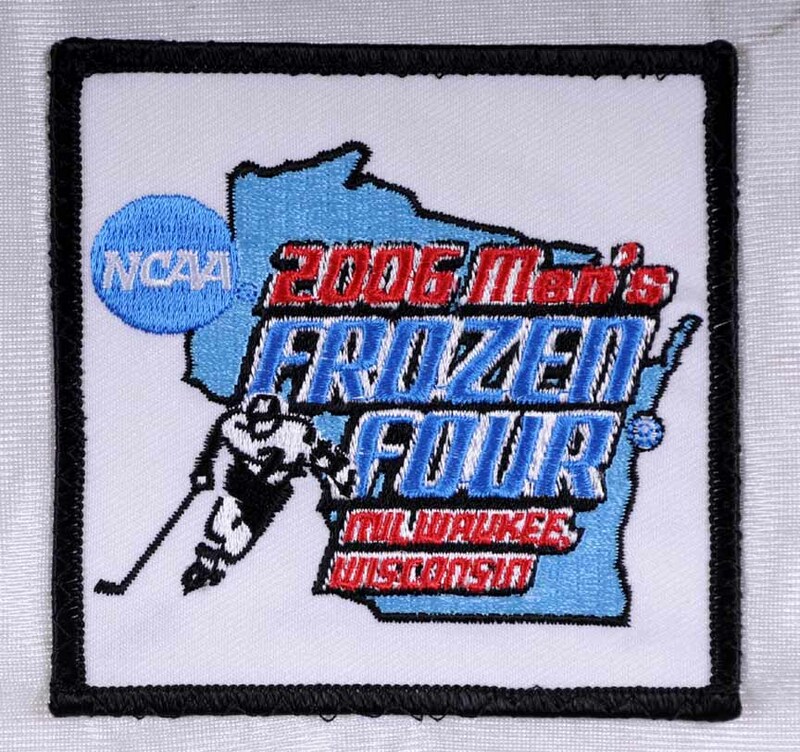 Sewn to the left breast of this gamer is the 2006 NCAA Frozen Four patch. 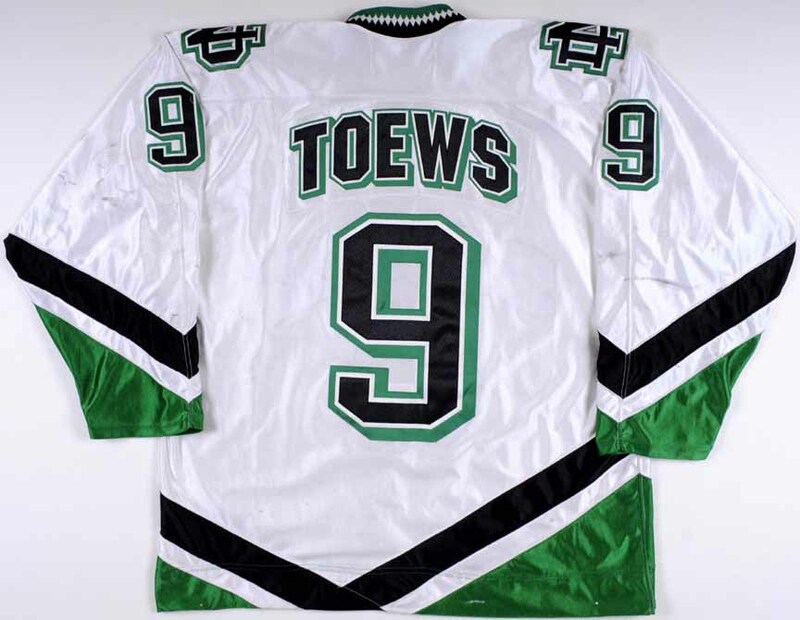 This was in fact the only white sweater that Toews wore during his NCAA Rookie season! 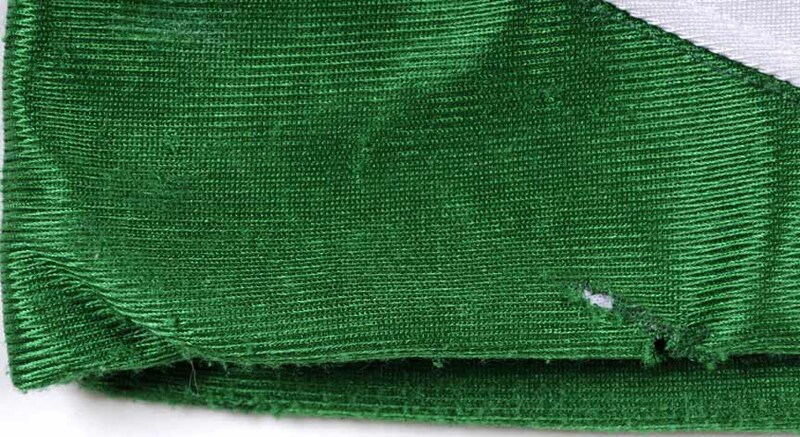 The game wear on this size 56 sweater is solid and consists of numerous stick and slash marks, board burns, board paint transfer, un-repaired burn holes, a major slash gash to the left arm and fine inner pilling. 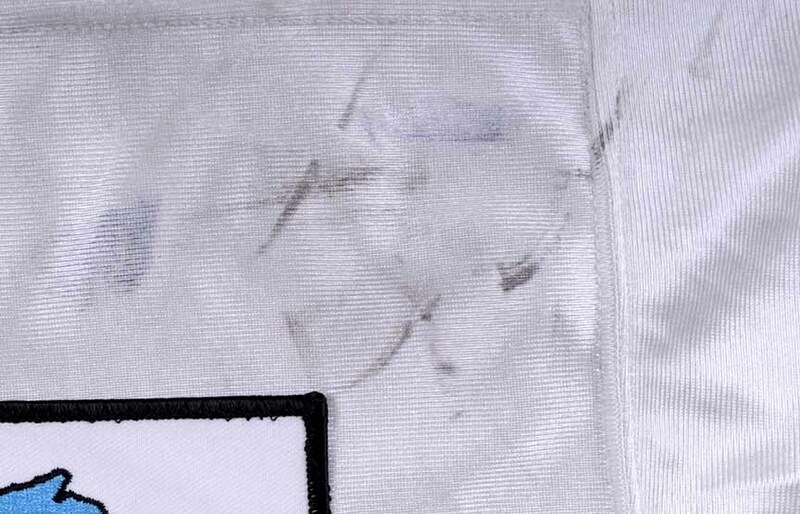 Shown above are some beautiful photo matches of Toews wearing this exact jersey during the 2005-06 season. A search of the web yielded many more incredible matches from his entire rookie season and all the way thru the Frozen Four that the winning bidder could choose to pursue. This incredible offering marks the earliest known Toews gamer in the entire hobby. 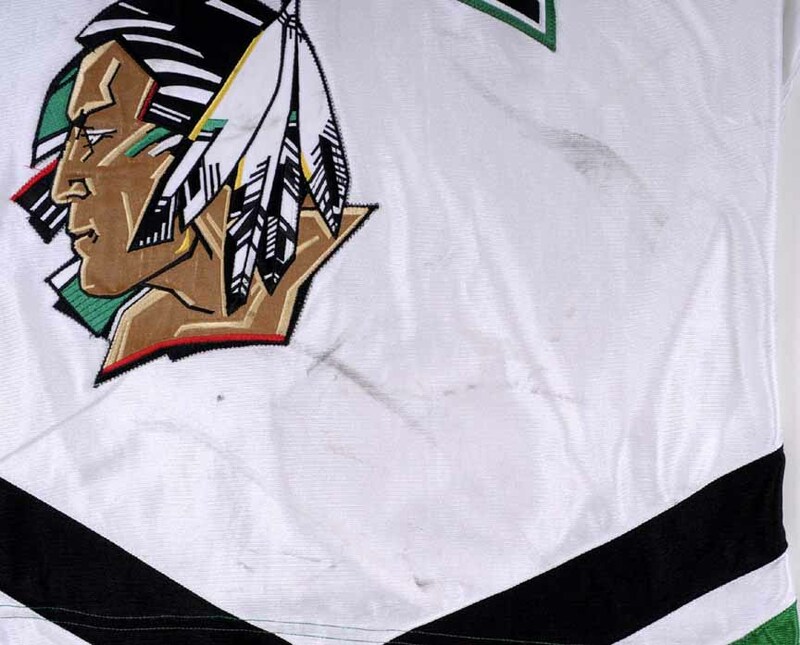 It was worn during Jonathan’s entire Rookie season at the University of North Dakota and is one of only 2 white Fighting Sioux gamers that Toews ever wore. 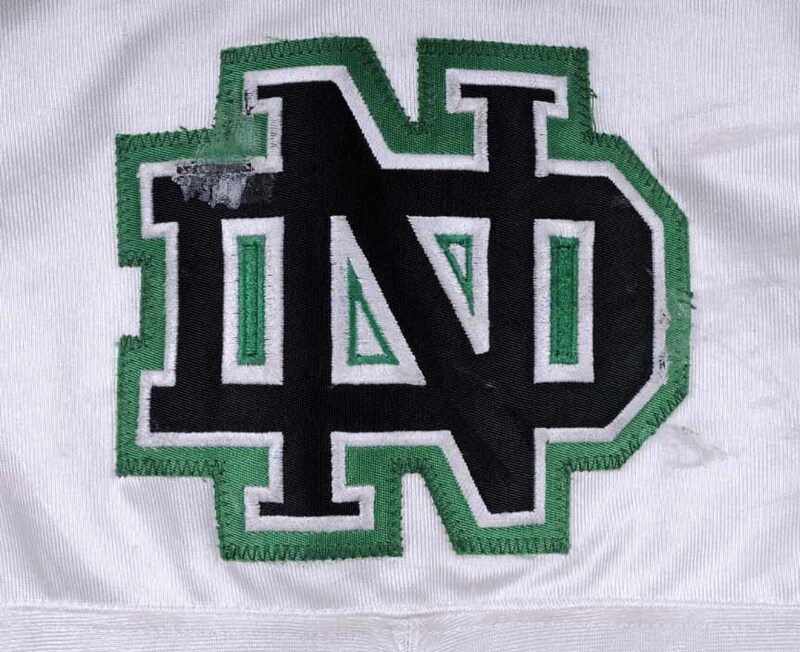 This battered example features numerous photo matches, the coveted Frozen Four patch and is considered the crown jewel of this amazing collection of Fighting Sioux gamers being offered. Simply one of the finest collegiate gamers that is known to exist in the entire hobby, choice! 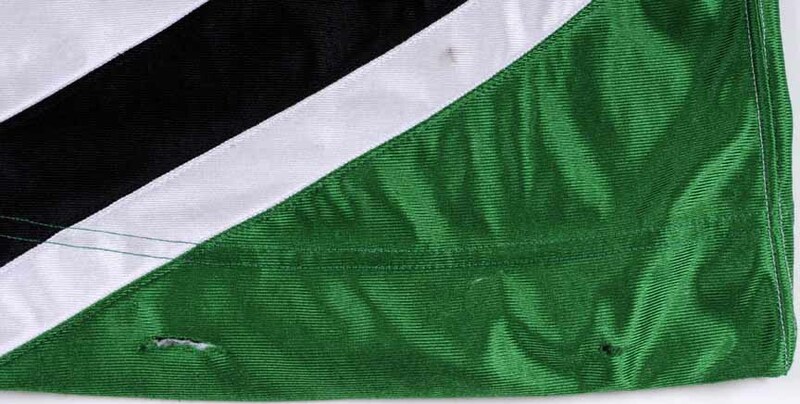 This jersey will be accompanied by a University of North Dakota team letter.